If you live in the city and are looking for a quick bite to eat, you can usually find a host of delicious options from food trucks stationed around the area. Trucks like these have become insanely popular in recent years, and it would make sense for the concept to expand. And in fact it has expanded- to the fashion industry. A new kind of truck has been making the rounds; only these businesses have been satisfying cravings for the latest designers rather than the latest foodie craze. 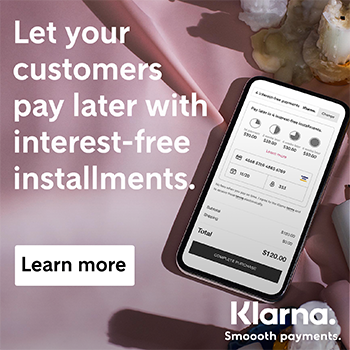 These mobile boutiques are changing the dynamic of shopping- stores come to the customer rather than the other way around. They have been popping up in several cities across the U.S., from L.A. to Miami. Despite it’s size, the truck is able to accommodate a surprising number of amenities. In the space equivalent of the average delivery truck, the boutique boasts a considerable product selection, a scarf bar and jewelry display, full-length mirror, and two dressing rooms! In addition to the boutique, Benson and The Fashion Truck also provide a vast array of styling services, including closet organization and personal shopping. There is even a “911” service! In the event of a fashion emergency, give The Fashion Truck a call and it will come to you as fast as possible to get you ready for whatever clothing crisis life throws your way. 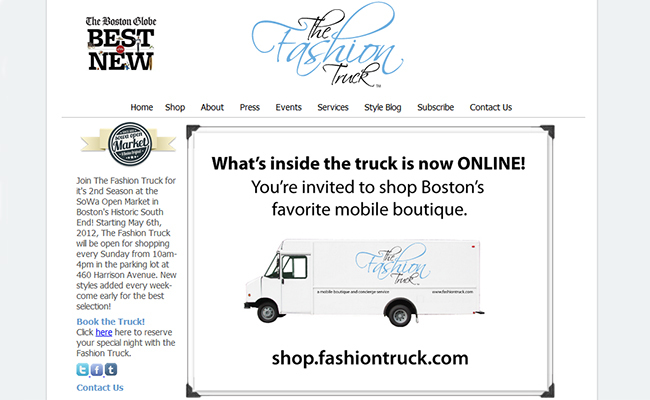 To check out the Fashion Truck, visit the SoWa Open Market located in Boston’s South End (which features local business). Benson will be selling alongside the food trucks that inspired her. More information can be found by visiting www.fashiontruck.com. I think these trucks are so innovative and fun. I’d LOVE to have a mobile boutique in this city!